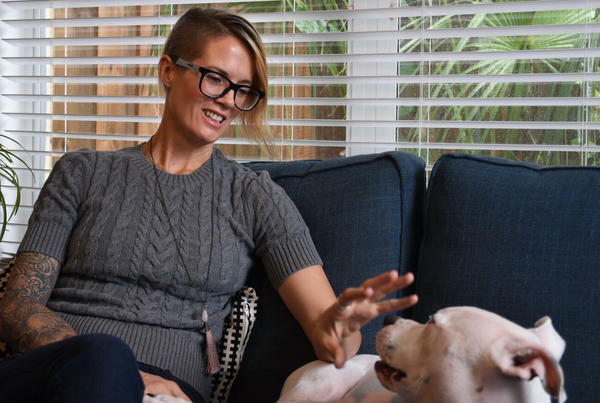 Rita Steyn has a family history of cancer so she ordered a home genetic testing kit to see if she carried certain genetic mutations that increase the risk for the disease. Steyn's results showed she didn't have three variants that increase the risk for breast cancer. Critics say that these kits don't address thousands of other variants associated with the disease. So Steyn jumped at the chance when she heard about a company offering an inexpensive and easy new way to get her DNA tested for genetic mutations that sharply increase the risk for breast cancer. "I thought it would be good to get tested," says Steyn. "I thought this is something I should know." She ordered a $200 testing kit from the company, 23andme, spit into a small plastic tube, sent it back and waited for the results. Genetic testing used to be uncommon and ordered only by doctors. They used it mainly to diagnose rare conditions, to find out whether prospective parents are carrying genetic diseases, or to determine whether patients are at risk for diseases in the future. Now, more people are getting their DNA analyzed for health reasons, in the comfort of their own homes. As genetic testing has gotten easier, faster and more affordable, it has become a multimillion-dollar industry, with many companies aggressively marketing convenient, inexpensive tests directly to consumers. About one-third of Americans say they or a family member have considered getting a genetic test, according to a recent NPR-IBM Watson Health Poll. And millions of people have gotten them, for a variety of reasons. "This health-related testing is probably the next big step in using genomic information in our lives," says Robert Cook-Deegan, who studies health policy at Arizona State University. But others find the trend troubling. The tests have limitations and can be hard to interpret without a doctor or genetic counselor to weigh in. The industry is set to grow even more as restrictions on the medical uses of these tests are eased. The Food and Drug Administration recently announced plans to make it easier for these kinds of tests to win approval. Many physicians welcome the trend, saying it's giving people valuable information. Consumers can find out early whether they are at increased risk for cancer, Alzheimer's and other diseases — and take steps to protect themselves. The testing can also sometimes help identify the safest and most effective medications to use. "Direct-to-consumer genetics companies are leading the way toward democratizing genetics and making it available to more and more people to learn about their risks and intervene in ways to keep themselves healthy," says Robert Green, a medical geneticist at Harvard. But other genetic specialists, including James Evans, a professor of genetics and medicine at the University of North Carolina, Chapel Hill, argue genetic testing is still in its infancy and that the results are often inconclusive and confusing. "I think that it's an unfortunate development that will likely cause considerable mischief," Evans says. One problem is that patients can be easily overwhelmed when results are misleading or murky. Genetic testing is still best done through doctors, he says, working with specially trained genetic counselors who can guide patients every step of the way. "What people deserve is well-thought-out information," Evans says. "The only people who will really benefit are the investors in these companies that market these incomplete and misleading tests." Some companies are offering newer forms of genetic testing that decipher and analyze every gene known to carry instructions for producing proteins that might reveal mutations — a process called whole exome sequencing. Still others analyze the entire genetic code, which is called whole genome sequencing, which may find additional clues to disease. They will then analyze customers' genomes for any variations known to be associated with diseases. 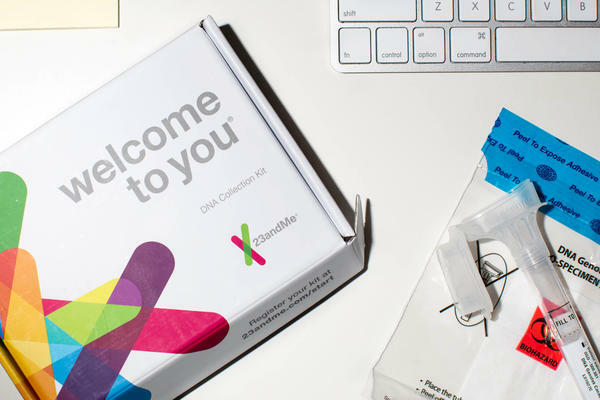 The approach 23andMe takes is a rapid, but older, process. It analyzes short pieces of DNA for genetic variations known as single nucleotide variations (SNPs) associated with specific diseases. Except for 23andMe, all of the companies still require a doctor's order to get this testing. But an increasing number of these companies will find a physician to sign off on that for customers. "We're all about empowering consumers and making it as easy as possible for people to get these insights," says Elissa Levin, director of policy and clinical services at Helix, a genetic testing company. Dr. Louanne Hudgins, president of the American College of Medical Genetics and Genomics, says she's "very concerned" about this. "Individuals should be evaluated by medical professionals who are not conflicted, meaning they do not somehow work for a company," Hudgins says. "Doctors who are contracted by companies are going to say, 'Do the test' no matter what, even if the test may not be indicated." The companies defend the practice, saying the doctors they find for customers may be better suited than the average physician. "The majority of doctors have had maybe one class in genetics," says Othman Laraki, CEO of Color Genomics, another genetic testing company. "I think it's much more important to have someone who has a background in genetics than just simply have someone who you can physically meet with." Privacy is another concern. Genetic testing companies say they have strict policies and procedures to protect customers' information. But some firms provide access to the genetic information they collect on an anonymous basis to drug companies and others to use for research. Recent breaches of privacy by companies that collect information about people, such as Facebook, have underscored the risks of electronic data. "I'm really hoping that the security practices associated with genetic information are quite strong," says Cook-Deegan. "The companies say they're strong. Time will tell if that's true." A federal law prohibits the use of genetic information to discriminate against the people for health insurance or jobs. But that law does not protect against the use of genetic information in making decisions about other things, such as life and long-term care insurance. "These are the types of things you really ought to consider when thinking about doing this kind of genetic testing — not whether there's a special on the testing this week," says Mark Rothstein, a professor of medicine and a bioethicist at the University of Louisville School of Medicine. About a month after sending in her sample, Steyn got a notice that the results of her breast cancer test were ready. "I'm really nervous," she said as she read through the company's explanation of what her results do and do not mean. She paused in silence after she clicked to get the results. "It says zero variants detected," Steyn finally said, meaning the test had not found any mutations that would increase her risk. "I guess I do feel really relieved. It does make me feel better," she said, her voice cracking. "I guess I just feel my chances are better now, you know?" Critics worry the testing is misleading — and relying on it could be dangerous. It tests for only three mutations in two genes known as BRCA1 and BRCA2 that can increase the risk for breast and ovarian cancer. Women could still have one of the thousands of other mutations that increase the risk, or be at risk for other, nongenetic reasons. The concern is that if a woman's 23andMe test shows she's free of the risky mutations, she may think she's in the clear and not do things she should do, such as get regular mammograms or undergo more thorough genetic testing. "To be very blunt, I worry that women who undertake testing from 23andMe could believe that they do not carry a mutation when in fact they do, and as a consequence could die of breast or ovarian cancer," says Mary-Claire King, a University of Washington geneticist who helped identify the breast cancer genes. "I do not want to see that happen." The company argues that it makes the test's limitations very clear and encourages women to talk to their doctor about the results and possibly seek more extensive genetic testing. For women who discover they have one of the risky gene variants, the information could be crucial, according to Stacey Detweiller, a medical affairs associate and genetic counselor at 23andMe. "Our mission is helping people access, understand and benefit from the human genome," Detweiller says. "There's steps that can be taken from knowing this information that could be life-saving." Steyn and the two other women NPR followed through the process of taking the test seemed to understand the test's limitations. They said they knew they couldn't rely on it, but they were curious to see the results. But Steyn admits that she felt somewhat less urgency to get a mammogram or additional testing because of the 23andMe test results, especially since she doesn't have health insurance at the moment. 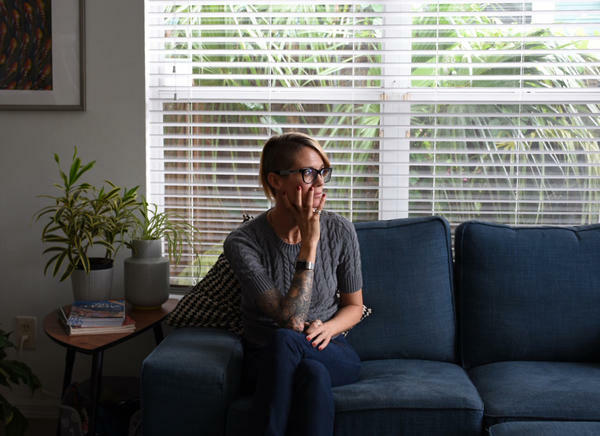 "I'm glad I did it, especially in light of the fact that I find myself in a position where I do have to wait to see a doctor now because of the insurance situation I find myself in," Steyn says. "Now I feel a little bit better about waiting. Beforehand, I probably would have not waited and figure out a way to afford this." Editor's note, June 20, 2018: A sidebar has been added to this story to highlight information that could help women decide if they want to try genetic testing for breast cancer risk. It's gotten way easier for people to get their DNA tested for health reasons. Nowadays people can get their genes scrutinized to determine whether they are carrying genetic diseases they could pass on to their kids or whether they're at risk for serious health problems like Alzheimer's or cancer. Joining us now to talk about the pros and cons of this is NPR health correspondent Rob Stein. Hi, Rob. MARTIN: So this could obviously be a really amazing thing or a terrifying thing. Can you just start off by explaining what is wrong and what is right about making it easier for us to get this kind of information? STEIN: Yeah. So people can get some really helpful important information through genetic testing. But this can be life-changing information sometimes, you know? Is it safe to have kids? Are they at risk for developing some terrible disease? So that raises all kinds of questions, you know, about privacy, about whether people should be getting this kind of information from a company or should they be getting it from a doctor or a genetic counselor? MARTIN: Right. And how easy is it, actually, to get this done? STEIN: So the company that's most aggressive out there is a company called 23andMe. And I should mention 23andMe provides some financial support for NPR. And this California company was the first company to get approval from the FDA to market a test that tells people whether they're at risk for cancer without a doctor being involved at all. And that's a huge change. And, specifically, it's a test that tells people whether they're at risk for breast cancer. So I decided to follow several women through the testing process. And I'd like to tell you the story about one of them. Her name is Rita Adele Steyn. She's 42. Originally from South Africa, she now lives in Tampa, Fla. And I called her on Skype. STEIN: Hi. It's Rob Stein at NPR. STEYN: Hi, Rob. How are you? STEIN: I'm great. How are you? STEYN: I'm alright, thank you. STEIN: Well, it turns out Steyn just got back from helping take care of her sister in Ohio. She's going through chemo for breast cancer. STEYN: Yeah. It's been tough, but it's harder for her. STEIN: Breast cancer runs in Steyn's family. Her mom had a double mastectomy in her 40s because she had so many lumps in her breasts, and her first cousin died of breast cancer. So after her sister was diagnosed, Steyn got really worried she might be next. STEYN: I think everyone naturally is always in two minds. Sometimes you feel like you beat the odds, and sometimes you feel like the odds are against you. And right now I feel like the odds are against me. STEIN: So when she heard about 23andMe's new genetic test, she decided to order it. She agreed to call me back when her kit showed up in the mail. STEYN: The whole thing is in plastic so I'm just trying to open it here. Take the plastic off. OK.
STEIN: She pulled out a small plastic tube and followed the instructions to fill it with spit. That's where the company gets the DNA to analyze. STEYN: I think the main thing is just not to get your sample mixed up with anyone else's. (Laughter). STEIN: Right. Don't let anybody else spit in your tube. STEYN: Right. Right. Don't let my dog lick me before I spit in the tube. Let's see how much we get on our first go. Here. I'll spit. This is a lot of spit. STEIN: She finally managed to fill up the tube and snap the lid closed to send it back. I didn't hear from Steyn again until about a month later, when the results were finally ready. She agreed to wait to open them until I was back on the line. STEIN: Hi. How are you? STEYN: Hi. I'm fine, thanks. Nice to talk to you again. STEYN: Yeah. Yeah, I'm really nervous. So I'm quite - yeah. I'm a bit nervous. I'm a bit nervous. STEIN: Steyn read through an explanation of what the test does and doesn't mean. It's only looking for three variants in the so-called breast cancer genes, BRCA1 and BRCA2. They sharply increase the risk for breast and ovarian cancer. STEYN: All right. Well, shall we? STEIN: Whenever you're ready. Are you ready? STEYN: I think - I think I'm ready. (Laughter). STEYN: I think I'm ready. OK. I'm going to click on it. Rob, you're in it with me here. STEYN: It says zero variance detected. STEIN: Wow. So what do you think? STEYN: I guess I feel really relieved. (Laughter). It does make me feel better. Yeah. I don't know. I guess I just feel like my chances are better now. (Laughter). You know? STEIN: So, Rachel, you can clearly hear the relief in this woman's voice. MARTIN: Right. So is there a problem with this, Rob? STEIN: So the critics say the problem is that this test only looks for three mutations in the two so-called breast cancer genes, and these mutations are only common among Jewish women of Eastern European descent, and there are literally thousands of other mutations that can increase the risk for breast and ovarian cancer. Or, women could get breast cancer for some other reason. And the worry is that women who test negative on those tests might not do the things they should do like get regular mammograms or seek out more thorough genetic testing. MARTIN: Because they think they're fine. STEIN: They think they're fine, and then they could end up, you know, dying of cancer when they could have otherwise been saved. MARTIN: What does the company say about these criticisms? STEIN: So the company says it makes the test limitations crystal clear and encourages women to get advice from their doctor, or particularly from genetic counselors, and that this test can at least provide some women with some potentially useful information. And I should say the three women that I followed did all seem to get this, but Steyn also acknowledged that she felt a little less urgency to get a mammogram and to get additional testing because her test came back OK.
MARTIN: We should note also it's not just 23andMe doing this sort of thing, right? STEIN: Yeah. There are lots of other companies out there marketing these easy, in-home tests directly to consumers. Now, all the other companies officially have to get a doctor involved. But the companies, they'll find the doctor for customers and critics say that's a concern, too, because these doctors could have a conflict of interest and that you really should sit down with your own doctor from the get go, figure out what tests you should get and have them there to explain these results, which can be confusing, to make sure you understand what they mean. MARTIN: I imagine there are privacy concerns, too? STEIN: The companies all say they keep their information private, but we know these days electronic information can leak out in all sorts of ways, and people could be subject to discrimination for life insurance or long-term care insurance. MARTIN: NPR health correspondent Rob Stein. Fascinating story, Rob. Thank you so much.